Why hello there and happy Wednesday! Today I’ve got the Zoya Element Fall 2018 Collection for ya. The Zoya Element Fall 2018 Collection features twelve new colors and it is available starting today on their site. There seems to be a definite color scheme this fall with a lot of nail collections I’ve seen so far. There are many pinks, purples, reds and mauves this season. Most of this collection has a creme finish but there are a few shimmery ones here, which it definitely needed, in my humble opinion. As far as formula, most everything was good and just took two coats to cover. There are a couple which I did use three coats on just to add a little more depth. Rumor is a pink/mauve with a frosty/shimmery finish. Ok this one was no bueno for me. The formula was brush-stroke-y and it just looks way too 80’s frosty for me. This was two coats. Jenna is a muted rose pink creme. This is two coats. Ruthie is a medium berry rose creme. This is two coats. Maryann is a shimmery rosy pink. This is two coats. Donnie is a purple/red creme. This is two coats. Maeve is a grape creme. This is two coats. Kendra is a deep marsala red creme. This is two coats. Alyssa is a cranberry red creme. This is two coats. Rachael is a deep vampy red creme. This is two coats. Leighton is a blackened aubergine creme. This is three thin coats. Devin is a steely blue/grey with multicolored shimmer and a foil finish. This is three thin coats. There it is. So if I am being 100% honest, which I always am here, I am not all that excited about this collection or what I have seen of fall collections in general this year. I have nothing against pink, purple, red and mauve cremes, but there are just so many of them out there already, so I just feel they’ve been done to death. Having said that, I do think the dark vampier ones like Rachael and Leighton are nice for fall, and of course my favorites are the rather unique Devin and Gardner. 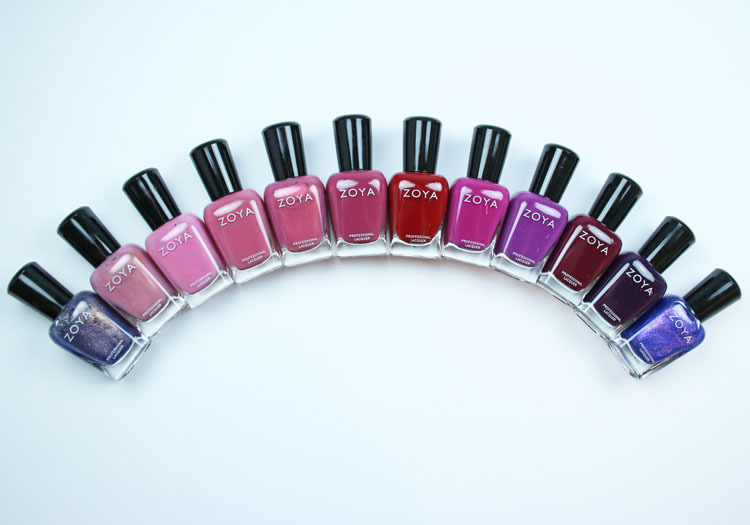 The Zoya Element Fall 2018 Collection is available now on the Zoya site and they are $10.00 each. Are you totally not into these colors or are they your jam? I have been looking up swatches of these on YouTube and blogs.. so glad you post them! I also like Leighton, it is soo deep & rich & ohhhh love it! 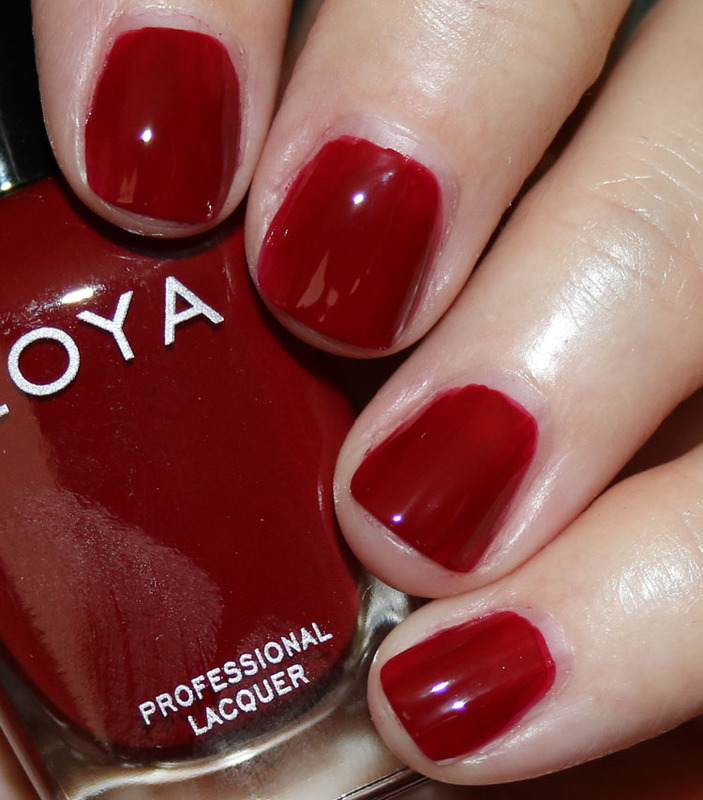 So I usually have a list for Zoya.. during the year it gets up to.. 15 polishes.. and buy during their sale.. Awesome, my work here is done. Lol! Yes! 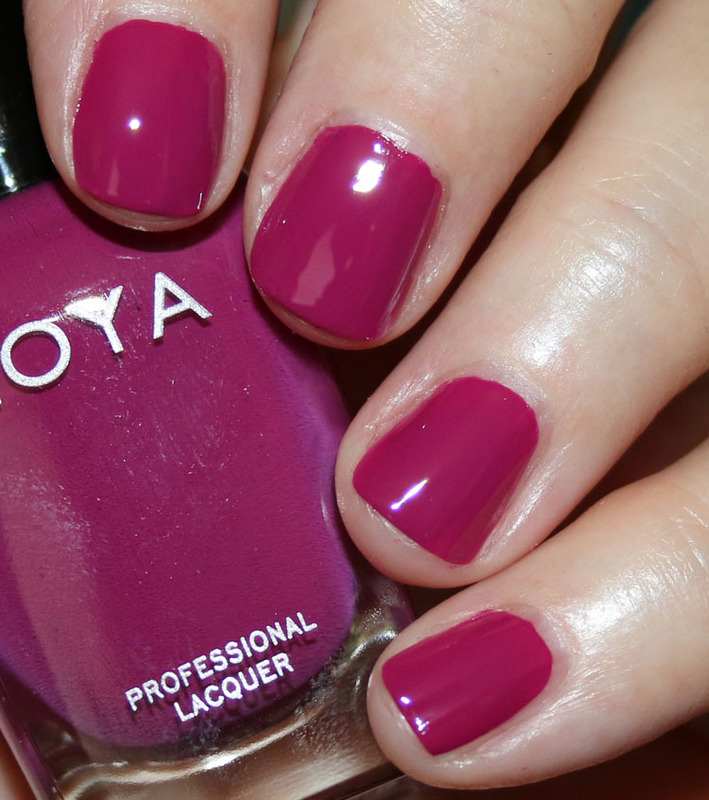 I keep a Zoya list too. I think Gardner is the only one going on there from this batch. Maybe the dark aubergine. I’m with you – most of these have been done and done and done again. Not going to purchase any of this collection. I do like Ruthie – but I’m sure I have a dupe for it in my immense stash. Yep, yep, yep, feels that way to me also. Pretty, but there’s not a colorhere I don’t have a dupe for. 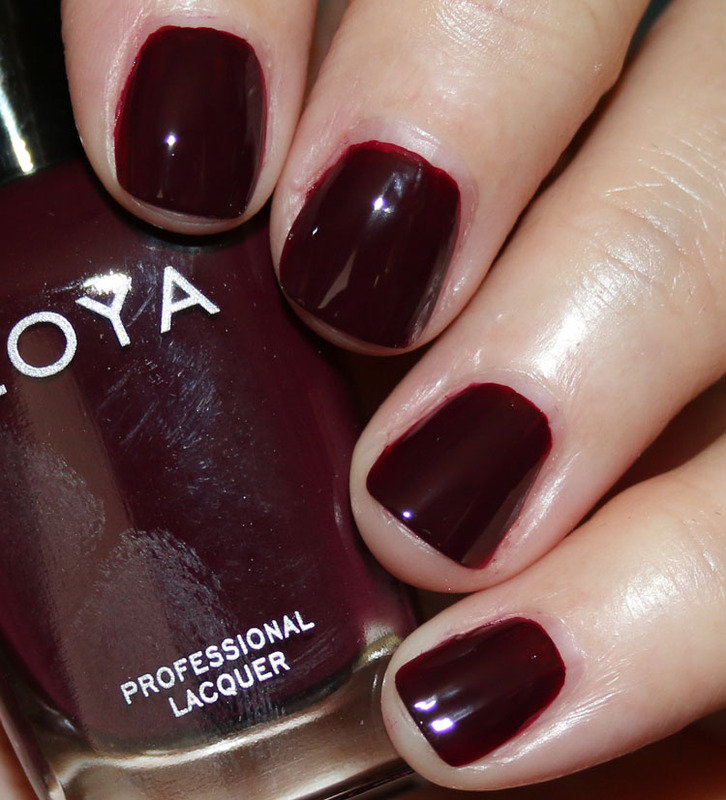 I will say that I do like most of Zoya’s formulas, so if there’s something here that you don’t already have go for it! These are so pretty, but I do have a lot of similar ones. I think there’s a couple I’ll pick up—definitely Devin and probably Donnie. I also like Ruthie, but we will see. I have to say, I saw swatches on a couple of other blogs that made a couple of these look better than they do here, particularly Rumor. I really appreciate how accurate and honest you are with your swatches and reviews as I was leaning toward purchasing Rumor, but I hate the frosty look! Thank you! Yeah to me Rumor is straight-up a 1985 frosty pink. While I like the actual color, the formula wasn’t great and the finish is just so dated to me. the whole frosty grandma 80’s look of rumor is what I like..
Doesn’t seem very “Fall” to me. I’ll pass. I kinda get the fall part but I’m with you! I’m with you—so many dupes! Though it does give off that “cuddle up in a sweater” fall-ish vibe, I just don’t see anything here that I must own. Yes I do get a fall vibe, just not colors that get me super excited. I guess they can’t ALL be completely amazing 100% of the time. I do love Devin, so I’m gonna get that one for sure. And I’m only going to buy Alyssa because I’ve been waiting for my name to be on a Zoya polish F O R E V E R 😂. Doesn’t feel like fall to me though. Well I am glad at least you finally have one with your name, lol! The fall collections this year seem so bland to me. Even B&BW went with roses (?!) instead of something spicy. Blah. Yeah, I agree with most others – there’s nothing really “new” here. 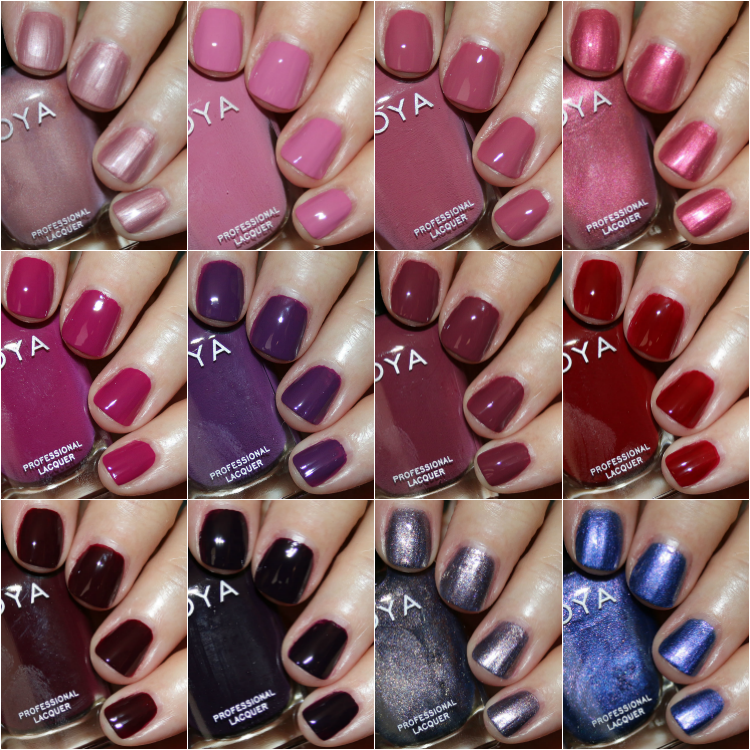 Actually, I kind of feel like some of these are colors we’ve already seen from Zoya in the past, just with different names. I’m going to pass. You said it. The colors are beautiful, but I already have so many similar polishes. They’re all in my wheelhouse…which is why I already have them. I normally go crazy for fall colors but like you said nothing this year is grabbing me. That being said, the two dark reds and the silvery shimmer will probably end up in my collection. Thanks for posting and for the ever honest reviews! YESSSS! I’m pretty much exclusively a Zoya polish person, love a nearly black but not black polish, AND there’s one with my name. 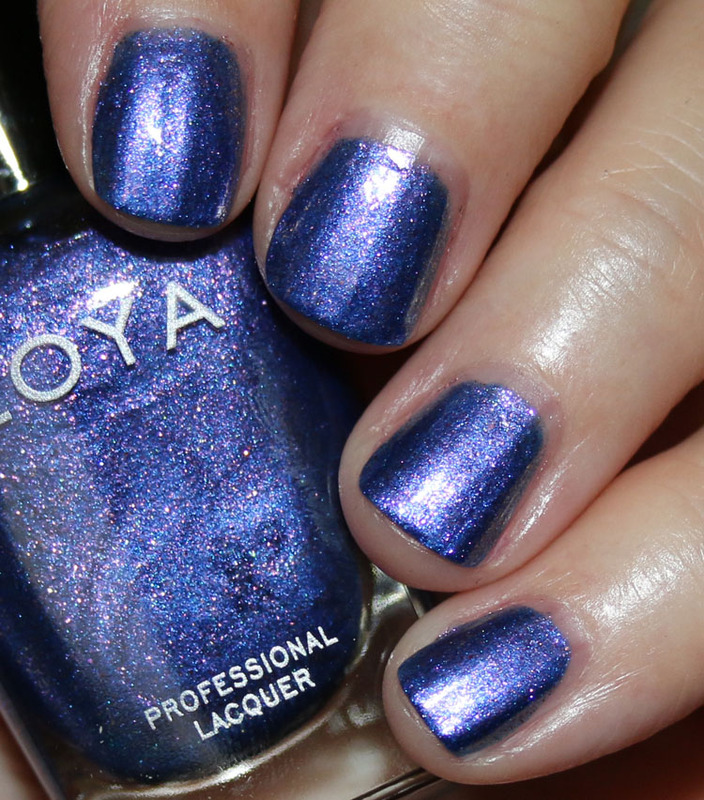 I just saw this because somehow I had fallen off your e-mail list, but I just stopped by to say, What is happening at Zoya these days? I feel like all their collections have been meh lately, although I do like Devin.